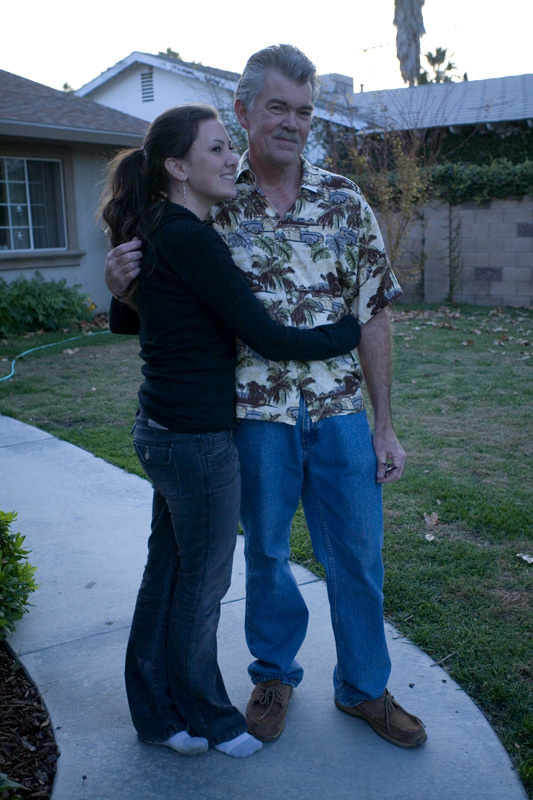 My dad and me in 2007. It’s a busy world over here. My best friend is getting married this Saturday, it was my man’s birthday last Friday (which included the actual day, the day of his party, and the day we celebrated with his family), and it was Father’s Day. Though my schedule has become so much freer in the last month, I have still found myself with places to be and commitments to honor every single day, and I can feel the familiar stress creeping in. – You wake up feeling like you’re already late for something. – Something you promised to do slips your mind. When you remember, you feel resentful. – The house starts to get messy as you shift your focus from relaxation to everything that needs to get done. – You skip the gym, healthy eating and drinking enough water. – You might begin to stress-eat, or consume things you’d normally avoid. – You sigh a lot. – You say, “Maybe I’ll get to that next week. This week is too crazy” to the people you love. – Though you’re as busy as ever, you find yourself wasting time in front of the TV or computer. Then you beat yourself up. – The normal things you do to relax don’t work, and you feel guilty for not doing what you’re supposed to. We’ve all been there – it’s fine. I now use these feelings as gauges for what’s really going on with me. I eat an extremely clean diet and am very educated about what goes into food, so if I find myself reaching for a sugary cocktail or agreeing to a piece of cake, I already know something’s up. I don’t beat myself up; I take it as a message and move on. A little of that was going on this weekend for me. I caught it just in time and was able to slow down. When I finally did, it was time to meet my dad for coffee yesterday. I’d scheduled to see him for an hour. I don’t get to see my dad too much, but we’re quite close and we have a very special relationship. We were only supposed to have coffee for an hour or so, but as it goes with us, we ended up closing Starbucks and then moving to Whole Foods, which eventually closed also. You know those people in your life you connect with on a really deep level, and can seemingly talk to for hours about anything? That’s my dad and me. He sees the best in me, points out my blind spots and reminds me to reconnect to what really matters. What really mattered yesterday? He’s not feeling well. It took about two hours of conversation for this to even come up. Had I marked my dad off as one more thing on my to-do list, I might not have even heard him. He told me a list of ailments and concerns. I asked what he was eating and was able to make some suggestions. Then, because we were having such an amazing time (to-do list be damned), we decided to go to Whole Foods and I showed him how the butcher counter will cook him any quality meat he wanted for free, in less than ten minutes. We went to the salad bar and made him a small salad and had a lovely dinner with very good food. He felt better already. It brought tears to my eyes. My dad is extremely busy with a mile-long to-do list. He has his own business and three kids, plus all the stuff he does on the side. He doesn’t have time to cook for himself and has resorted to eating off the budget menu at a local fast-food chicken place. To save money, he’s not insured right now. And like so many other people, he’s confused by all the contradictory health information out there. He thought $1 chicken and a side of beans was enough to keep him healthy. Had I kept my father in his time slot so that I could get everything else done, I would have missed this vital information and been unable to really listen to him. The thought that I almost missed him asking me for help makes me feel a little sick. Today, he already texted me that he woke up feeling much better and is feeling hopeful. There’s nothing that makes me happier. We all have a lot to do – but where are you trading check marks on your to-do list for connection with friends? Where is your life big and umanageable, and where can you shrink it? The to-do list will always be waiting. Today, I urge you to reconnect with what really matters.